January brings some of the coldest temperatures of the year. It’s not uncommon for the vegetable garden to be frozen solid, making digging and feeding the soil practically impossible. Today I have a few January gardening tips to help you push through this cold month. 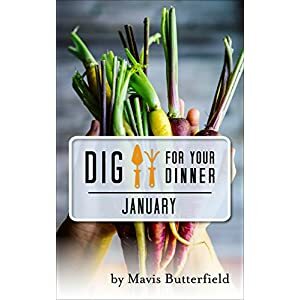 Dig for Your Dinner in January: Growing Your Dinner, One Month at a Time If your garden soil is dry, now is a good time to dig over your garden in the areas that need turning and feeding. If you’re going to add manure to the potatoes and root crops, this is the perfect time to add it. This way it will give it time to rot down. 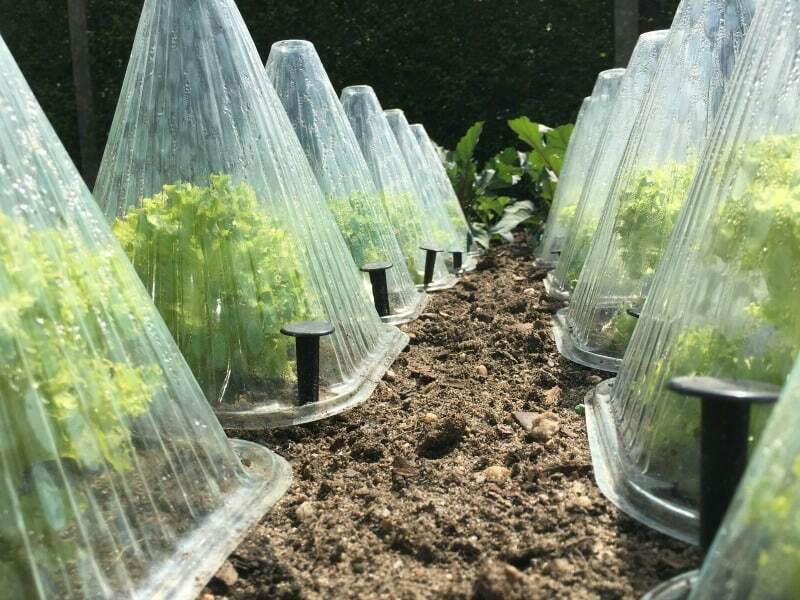 Since the days are short and there is not enough light to successfully grow seedlings, there is no point in sowing any seeds this month, unless you have climate and lighting control systems. But the long, dark evenings will give you the opportunity to browse seed catalogues and order your seeds. If you are planning to grow potatoes this coming season then you will definitely have to select your potato varieties and buy your seeds this month so that you can start the potato chit. 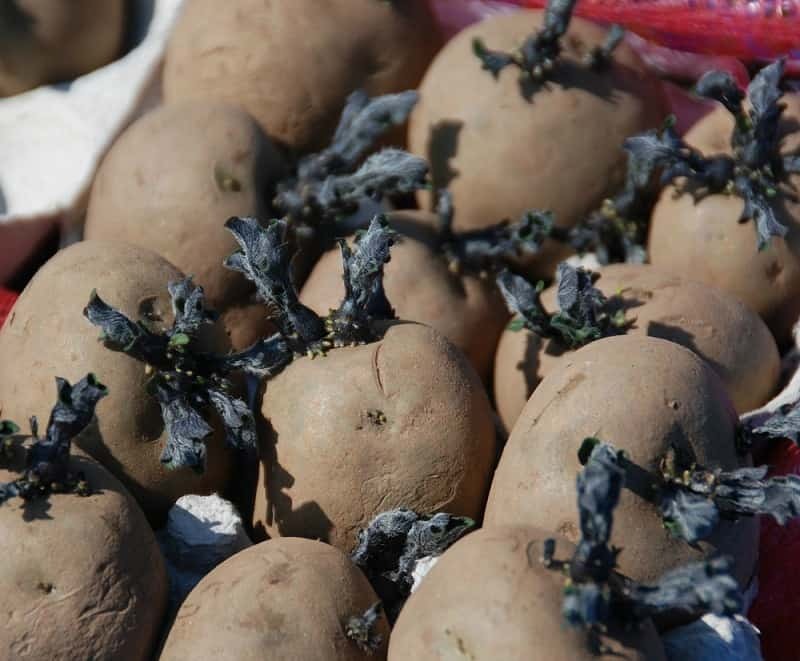 The how to grow potatoes page will help you to choose the best potatoes to grow. To chit potato seeds lay them out with the side with the most eyes facing up, and leave them in a cool, light, frost free room so that they start to shoot. Lay seed potatoes in egg boxes and put them in a basement which has plenty of light. Can I saw any seeds in January? Plants rely on warmth and light to grow. Unfortunately, because the light levels are low, the seedlings stretch up looking for light. This causes the seedlings to be long (leggy), thin and weak. 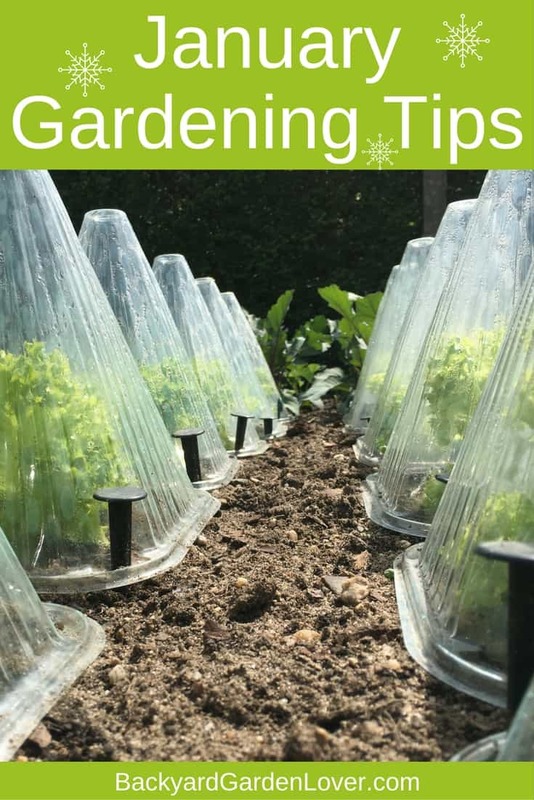 If you’re tempted to get a head start by using a propagator to force on young seedlings, be warned that you might lose your seedlings, or at best, have weak and leggy plants. What can you harvest in January? You could also be harvesting the last of the celeriac and curly kale. There are many vegetables you can grow in containers that could be brought in the house or in a covered porch in the winter.